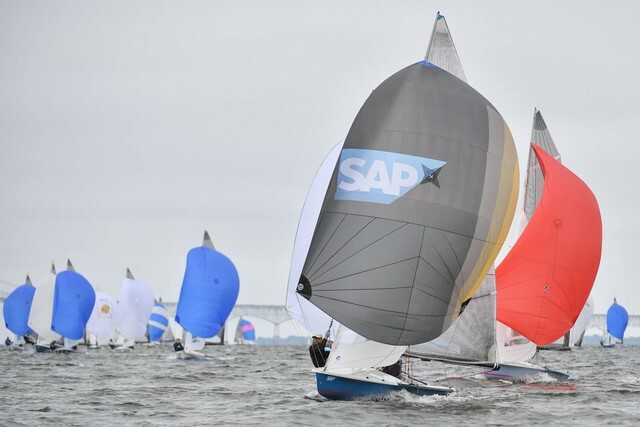 ANNAPOLIS, MARYLAND – There was a collective groan from the sailors when principal race officer Sandy Grosvenor announced from the deck of Severn Sailing Association that she was sending the fleet out on Day 1 of the SAP 5O5 World Championship. 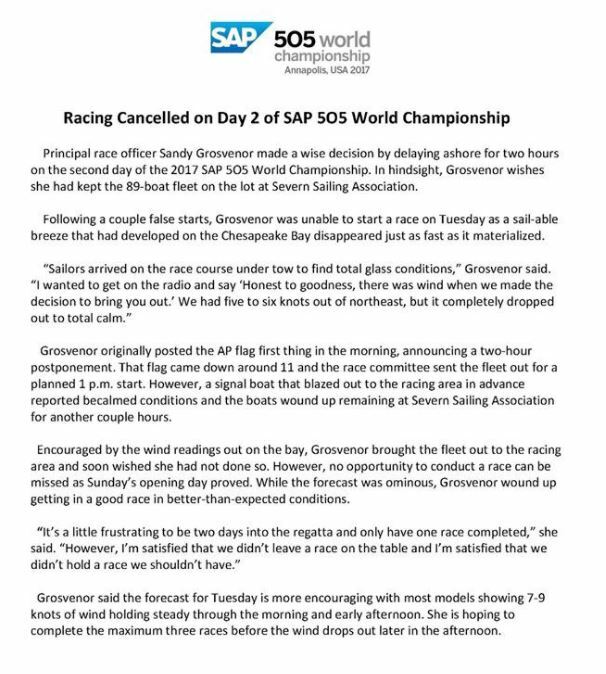 Some of the competitors felt the forecast looked shaky, but Grosvenor thought there was a window to get in some racing. Grosvenor is a respected World Sailing race officer and it turns out she was right. “I was delighted when we got out there and found the wind we did,” Grosvenor said. 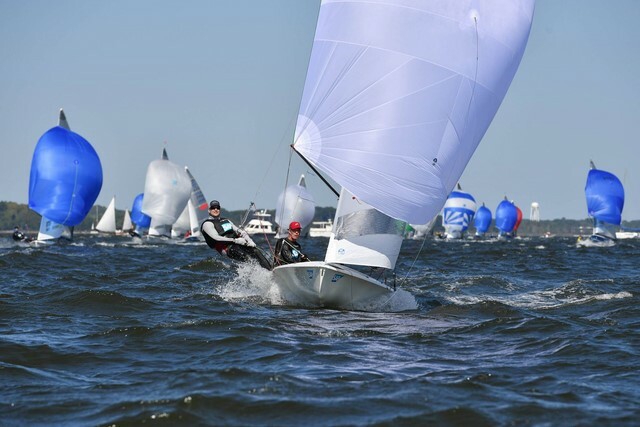 A northeast wind was blowing about 10-11 knots when the mark boat dropped anchor. That enabled Grosvenor to set the TL3 course that is standard for the International 5O5 class. 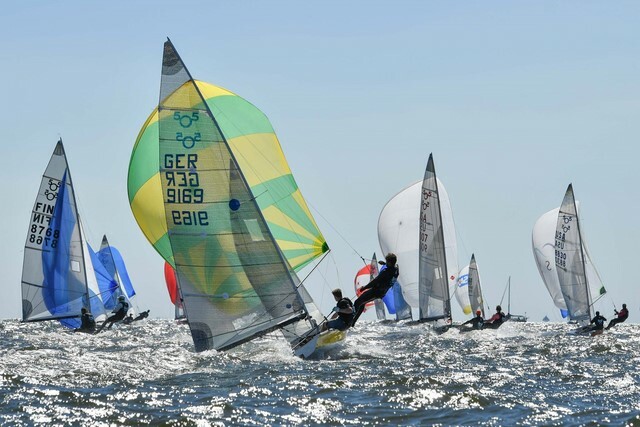 It features a reaching leg thrown in after the first downwind leg and creates a triangle. 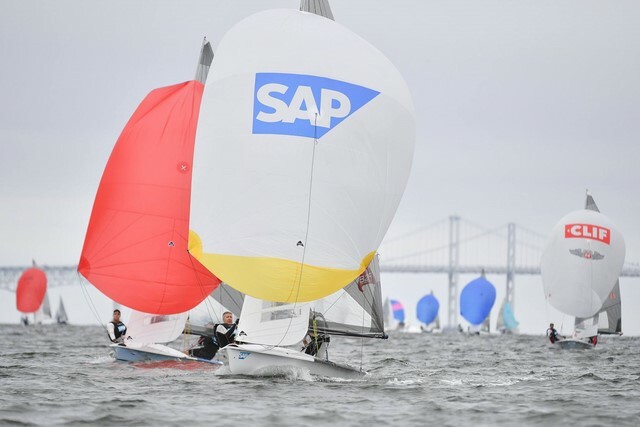 Californians Howie Hamlin and Andy Zinn drew first blood at the 2017 SAP 5O5 World Championship – snatching the lead just after rounding the leeward mark and holding it the rest of the way to win Race 1, which was seven legs and approximately five miles with a downwind finish. 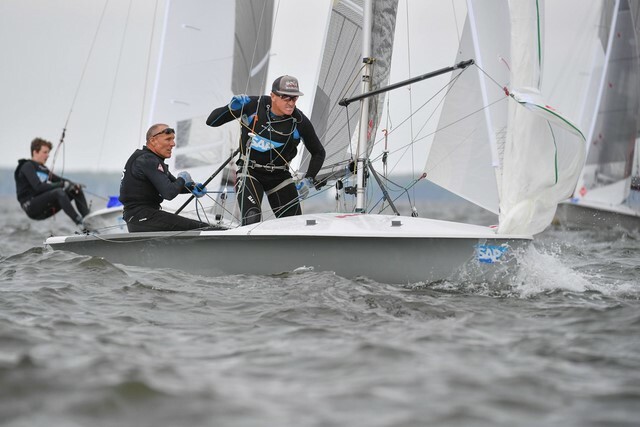 Mike Holt and Carl Smit, the 2015 world champs, were first around the initial windward mark and held the lead on the run. However, Holt-Smit and Hamlin-Zinn split gates and that would ultimately prove decisive. “We gybed just before they did and went for the left gate. 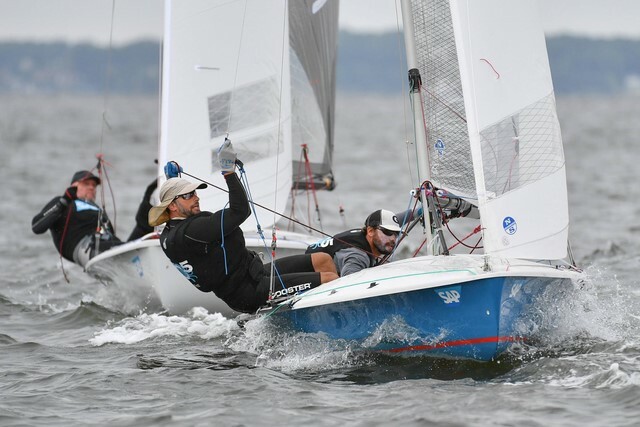 They went around the right one and it looked like they had more traffic,” said Zinn, who has teamed with Hamlin to capture three North American Championships. Holt confirmed that version of events and said a little hitch he and Smit had to take on the second upwind leg allowed Hamlin and Zinn to pass. 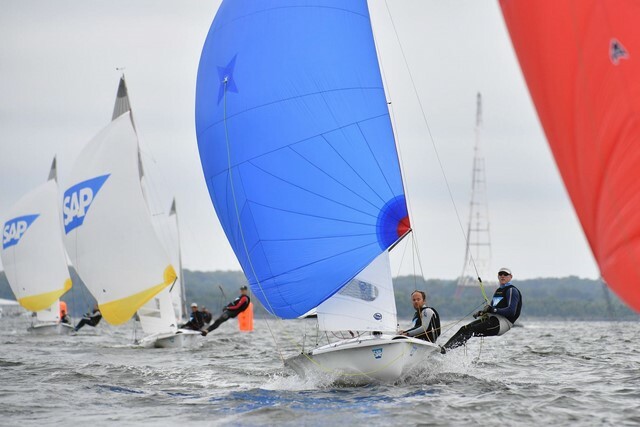 When it was over, most of the usual suspects were in the Top 10 with Chesapeake Bay locals Tyler Moore and Rob Woelfel taking third, just ahead of the British tandem of Ian Pinnell and Dave Shelton. 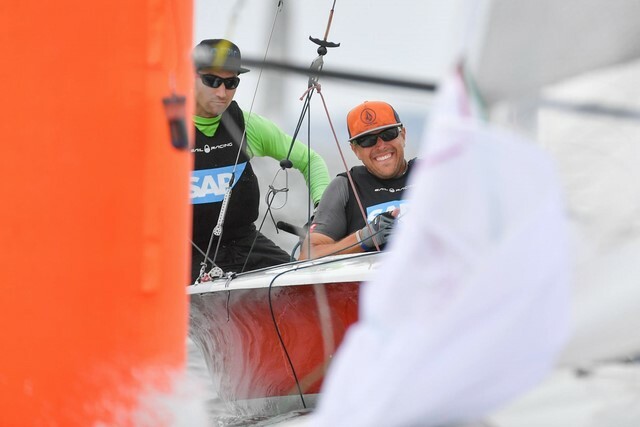 Defending world champions Mike Martin and Adam Lowry finished eighth. 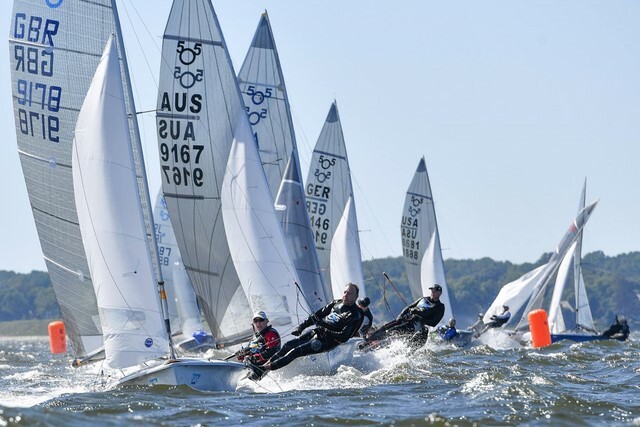 Grosvenor said the pressure steadily dropped during the race and was barely above the class cutoff of five knots when she went into sequence for Race 2. She got the fleet started, but very quickly abandoned, due in part to a strong ebb current that was sweeping boats down the bay. 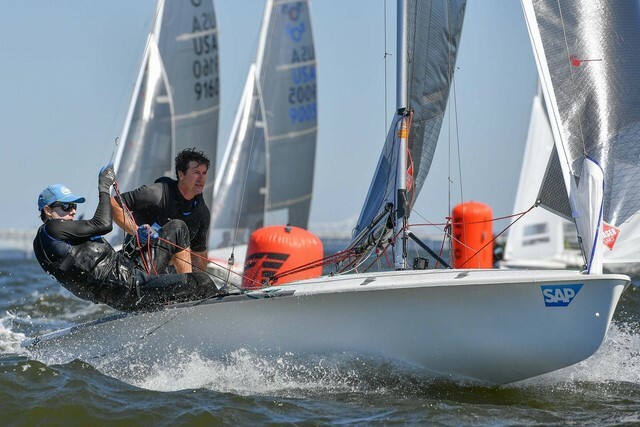 Doug Hagan is an Annapolis native who competed in the Club 420 World Championship out of Severn Sailing Association way back in 1984. 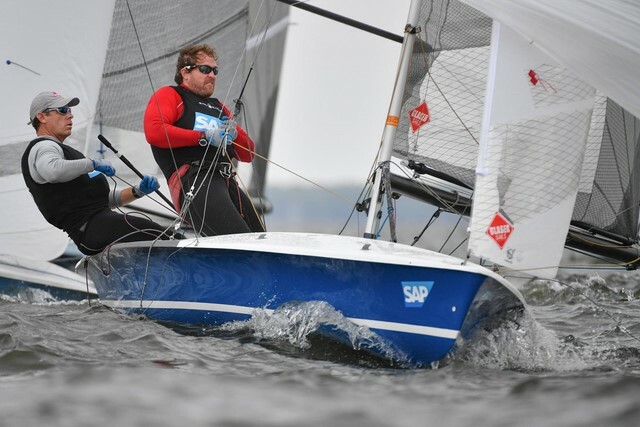 Hagan, who now lives in Maui, has returned to his hometown for the 2017 SAP World Championship and got off to a good start by placing sixth in Race 1. The forecast is promising for next days so we hope that the 505 will show what is made for! Strong winds shall approach Chesapeake Bay by the and of week"
Last edited by Photoboy; 09-26-2017 at 09:05 AM. You know it's slow when your crew can swim faster that you can sail! They are all probably wishing they voted for SF in August. 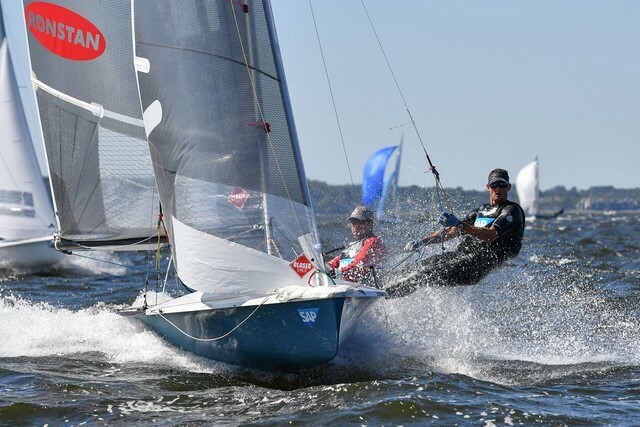 ANNAPOLIS, MARYLAND – At long last the weather cooperated and organizers of the 2017 SAP 5O5 World Championship took full advantage of a day with steady, consistent wind. 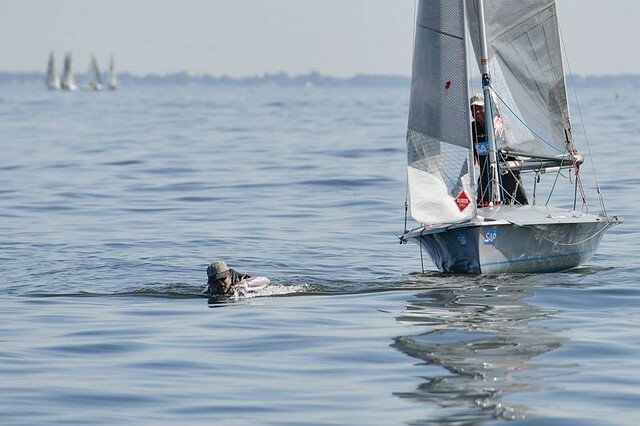 Principal race officer Sandy Grosvenor reeled off three races on Tuesday, bringing the series total to four and ensuring this is now an official championship. Smith and Gilbert won the day with a solid score line of 3-6-2 to take over the top spot in the standings with a low score of 21 points. That is two better than a pair of American entries – Mike Holt and Carl Smit along with Edward Conrads and Brian Haines. 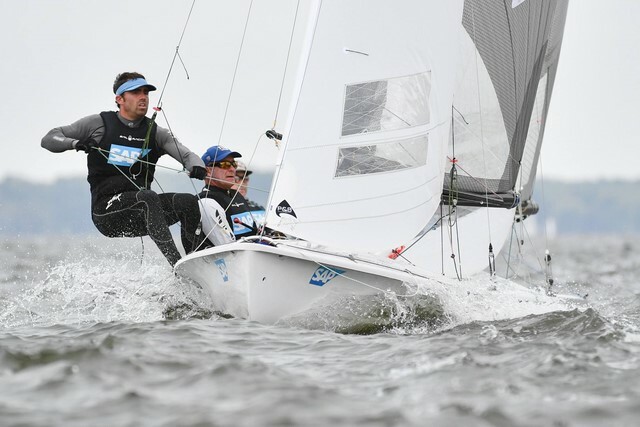 Smith and Gilbert are sailing as the Gill Race Team and doing their first world championship together. 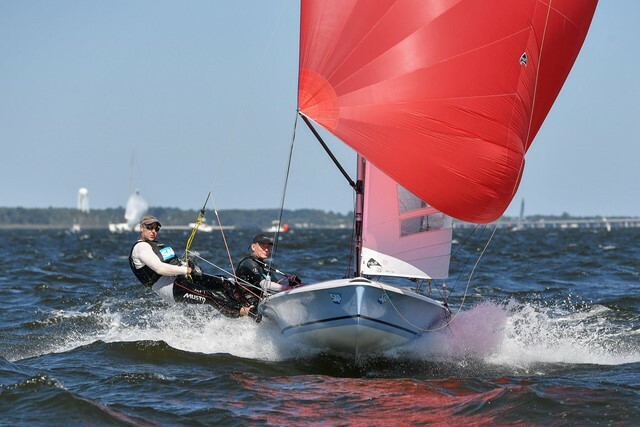 Smith felt the conditions – northeasterly winds ranging from 7 to 10 knots – suited the tandem well. Smit said the team battled for the lead throughout Race 2 and finally closed out the victory on the final run. “In the first race, we were early gate and punched out early then caught the first shift. We played the fleet and the shifts, but we finally ground it out on the last run,” he said. 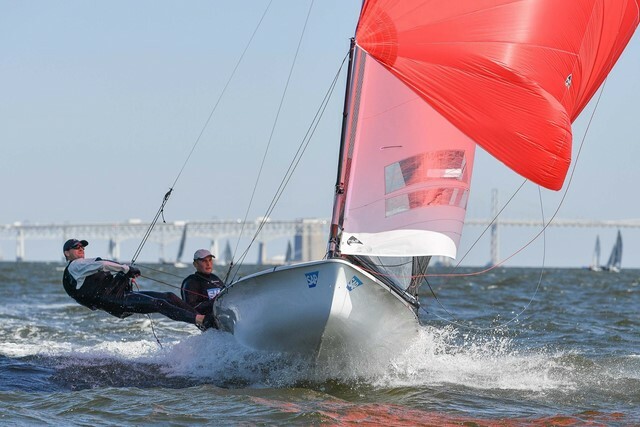 Haines said he and Conrads are slowly learning the vagaries of the Chesapeake Bay, which has a well-established reputation for delivering 20, 30 – even 40 – degree wind shifts. 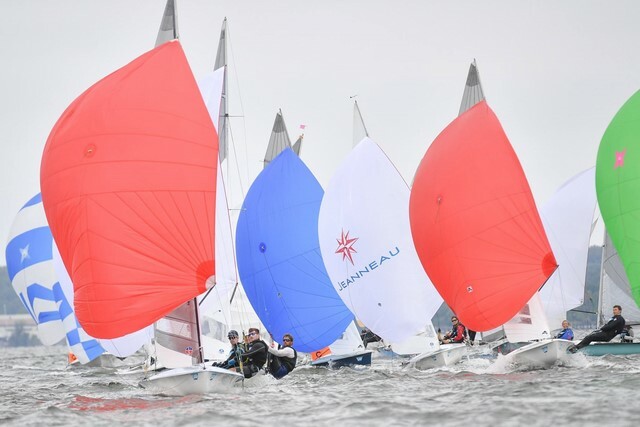 “There were definitely some big shifts and toward the end of the day the current began to play more of a factor,” said Haines, son of sailing legend Robbie Haines. 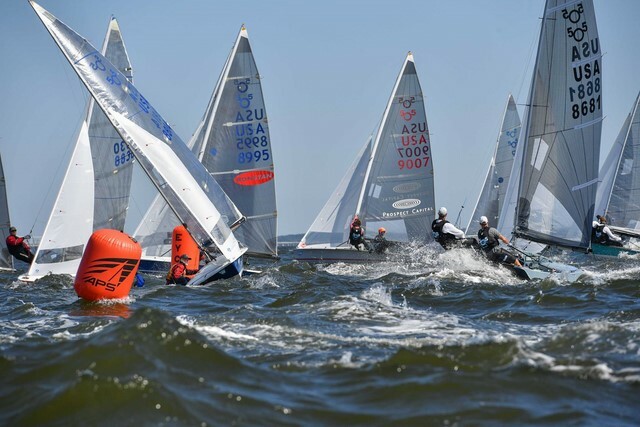 Haines acknowledged that the boat named “It’s Big, It’s White,” will not necessarily move up in the standings once the throwout comes into play, which is not necessarily a bad thing at this point. 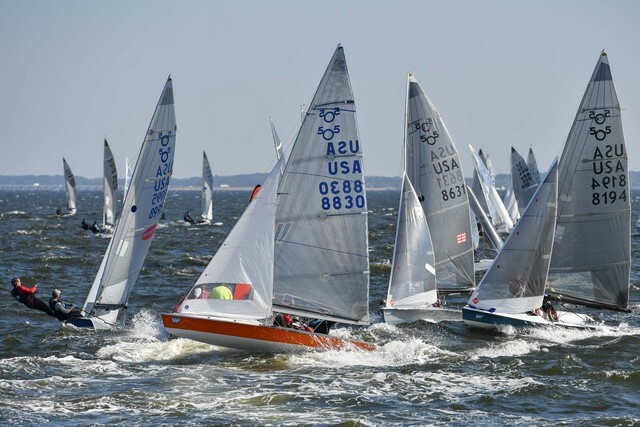 For the uninitiated, the 5O5 class uses a unique “gate” starting system that employs a pathfinder – also known as the “rabbit.” That designated boat, always the 10th place boat going into the day, sails close-hulled on port tack as fast as possible. Every other boat in the fleet must then dip the pathfinder. “We are super happy and super proud!” Stenger said of the accomplishment, which helped propel Bikini Atoll up to seventh in the overall standings. Look at the name of boat 8715! 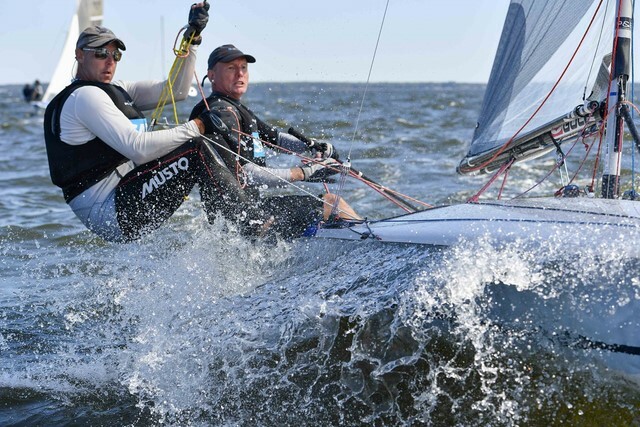 Mike Holt and Carl Smit win the 2017 5o5 Worlds!